Patient Safety Blog - Lubin & Meyer PC: Two States. Two Areas of Law. Two Groundbreaking Verdicts. Two States. Two Areas of Law. Two Groundbreaking Verdicts. As seen in Mass. Lawyers Weekly. 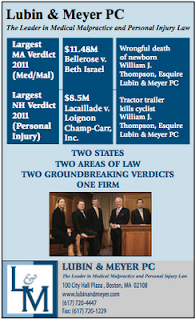 We are proud to have achieved two groundbreaking verdicts in 2011 for our clients. The first was an $11.48 million verdict in a wrongful death lawsuit for the family of a newborn who died at Beth Israel Hospital in Boston. 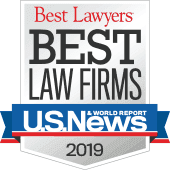 The second was an $8.5 million verdict for the family of a New Hampshire bicyclist who was killed when he was run over by a tractor trailer truck on a road in Maine. 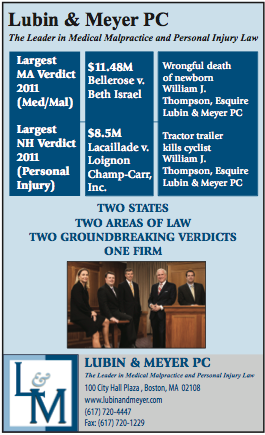 To see more verdicts and settlements achieved on behalf of our clients in 2011, please see: Lubin & Meyer achieves 35 of the largest settlements in 2011, as compiled by Massachusetts Lawyers Weekly.